Making the most of the feedback on our aerodynamic technology which was born and refined in the racing circuit, the Z power wing has achieved the extremely beautiful form of the optimal downforce in respect to its weight, finish, durability, and quality, all of which are requirements for street vehicles. It amplifies the pleasure in any driving scene. 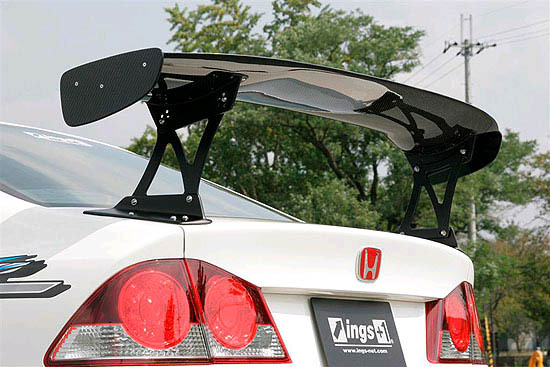 The wing angle is adjustable by 15 steps and it can provide the best setting for a course and for a car. In addition to the great contribution to the driving performance, the wing prides itself on the bracket made of dry carbon material and on the metal supports made of machined aluminum with excellent texture. The brilliant craftsmanship of ings is represented by this product.